The Middle East is well-known for its historic gardens that have developed over more than two millenniums. 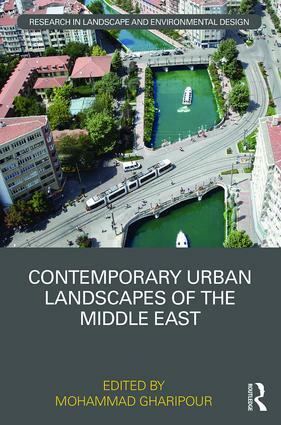 The role of urban landscape projects in Middle Eastern cities has grown in prominence, with a gradual shift in emphasis from gardens for the private sphere to an increasingly public function. The contemporary landscape projects, either designed as public plazas or public parks, have played a significant role in transferring the modern Middle Eastern cities to a new era and also in transforming to a newly shaped social culture in which the public has a voice. This book considers what ties these projects to their historical context, and what regional and local elements and concepts have been used in their design. Mohammad Gharipour is Associate Professor at the School of Architecture and Planning at Morgan State University in Baltimore, USA. He obtained his master’s in architecture from the University of Tehran and his Ph.D. in architecture and landscape history at Georgia Institute of Technology, USA. He has received several fellowships and awards and published six books including Persian Gardens and Pavilions: Reflections in History, Poetry and the Arts. He is the founding editor of the International Journal of Islamic Architecture. The series is explicitly designed for the publication of scholarly works in landscape and closely related disciplines, and is aimed at academic libraries across the world. Building on Routledge’s history of academic rigor and cutting edge research, the series will contribute to the rapidly expanding literature in all areas of landscape.